The humble mud lobster creates 'condos' complete with swimming pools, while improving soil quality. It thus plays a key role in sustaining life in a mangrove! 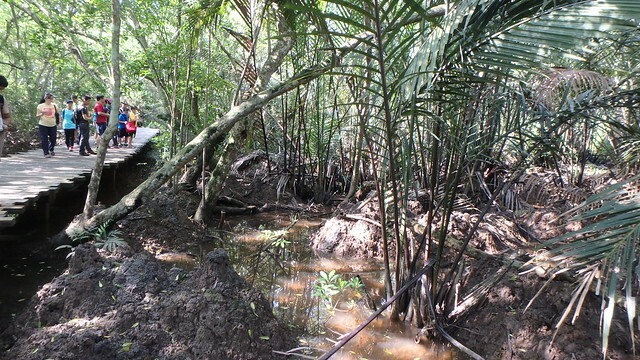 The volcano-shaped mud lobster mound is now rare and found only in some of Singapore's last remaining back mangroves. The mound can be as tall as 2m above the ground! 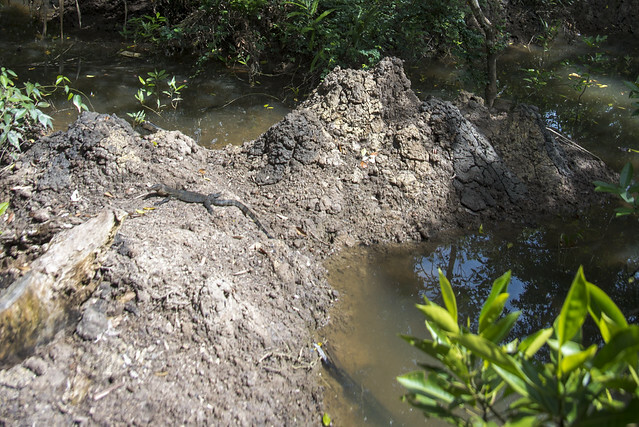 The mud lobster mound is drier than its surroundings so it makes a perfect home for plants and other animals. At high tide, the mud lobster mound sticks out above water. Many animals can be found in living in these 'high-rise' mounds, creating their own burrows in the mound, sometimes complete with chimneys. 'Condo' dwellers include snakes, crabs, ants, spiders, worms, clams and shrimps. Tree climbing crabs near 'chimneys' on a mud lobster mound. Some mangroves plants also appear to grow better on these mounds. 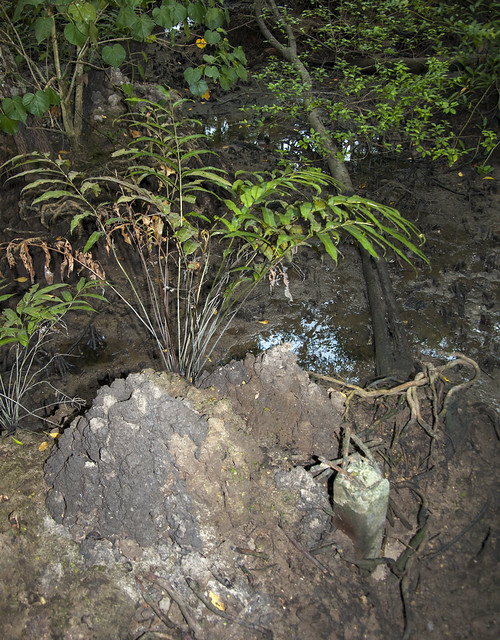 A mangrove fern growing on a mound. The condominium comes complete with swimming pool! Baby monitor lizard sunning on a mound. Water is trapped in the mound system forming pools. At low tide, these pools shelter aquatic animals such as small fishes and mudskippers. More about mudskippers. These pools also form nurseries for juvenile fishes which may move out to deeper waters when they grow up. Spotting critters in 'swimming pools' next to mounds. 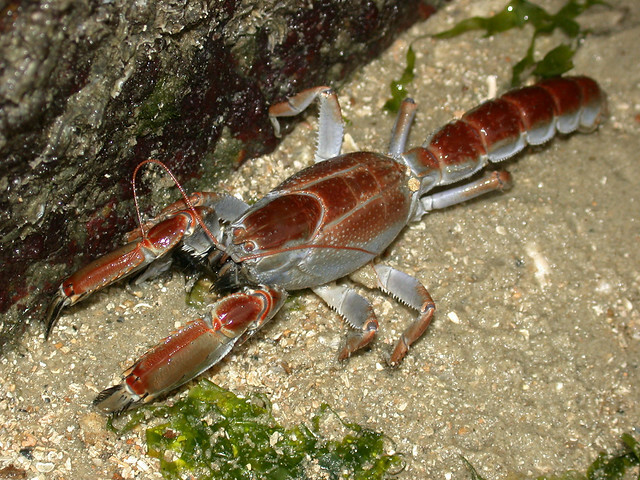 Up to 30cm long, the mud lobster is actually not a lobster but more of a giant shrimp. It is more closely related to ghost shrimps of the genus Callianasa. A rare look at a mud lobster above ground! The mud lobster lives in tunnels deep underground, rarely emerging above ground. Mud lobster at an opening in the mound. 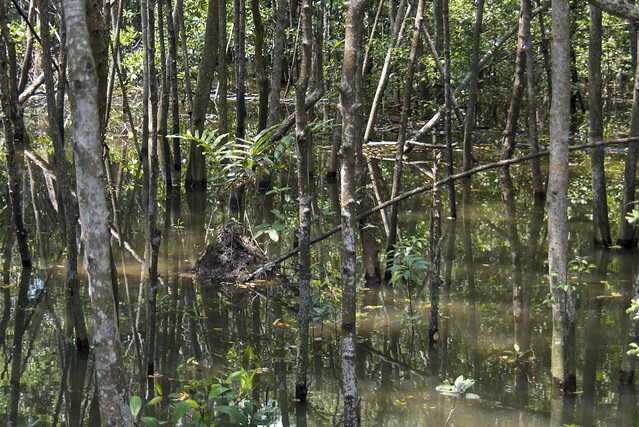 The mud lobster plays a key role in sustaining life in a mangrove. 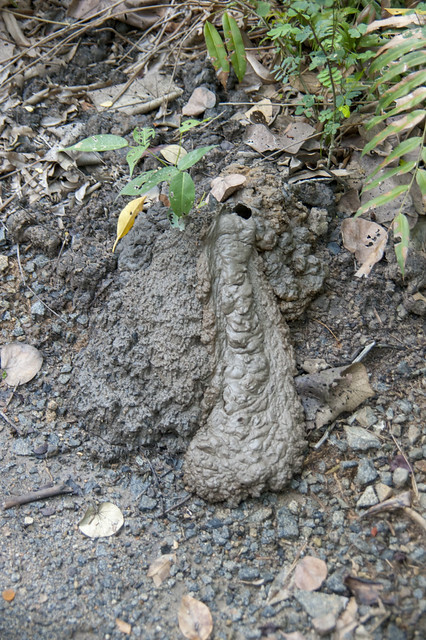 It is believed to eat mud. As it eats-and-digs, it recycles nutrients from deep underground, bringing these within reach of other plants and animals at the surface. a busy mud lobster somewhere down there. 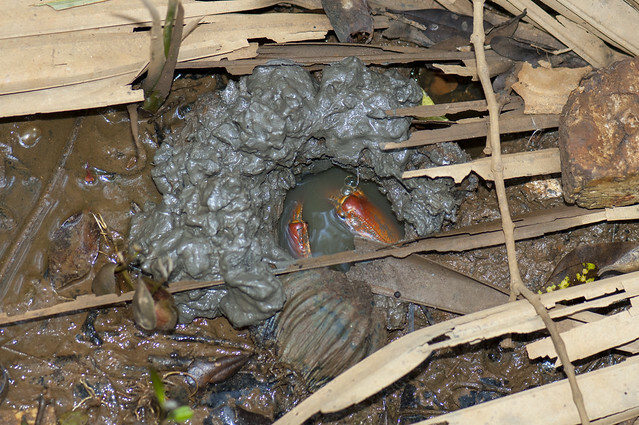 The mud lobster's digging also loosens the mud and allows air and oxygenated water to penetrate the otherwise oxygen-poor ground. All this digging also eventually results in a distinctive volcano-shaped mound that can reach impressive proportions. 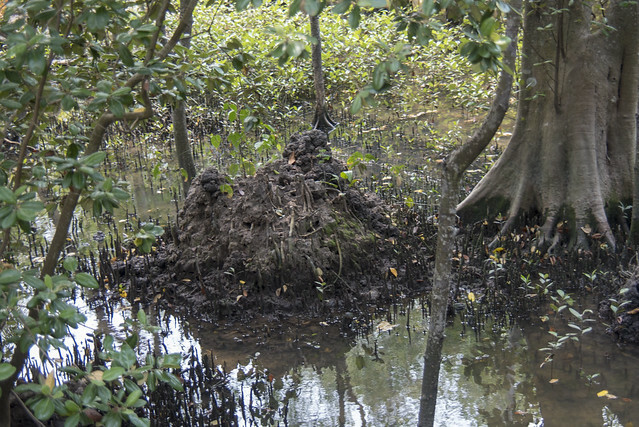 Mud lobster mound in the mangroves at high tide. Our mud lobsters are listed as 'Endangered' on the Red List of threatened animals of Singapore, as their preferred habitats are lost or degraded. 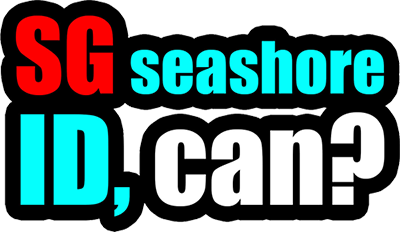 If they disappear, so will their 'condos' and the plants and animals living there. 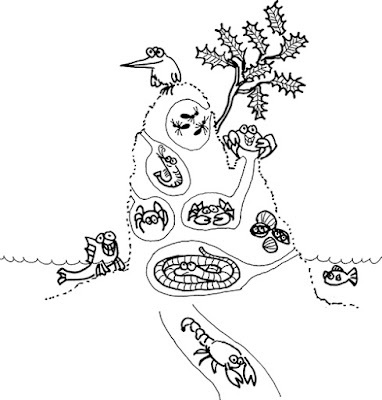 Like other creatures of the intertidal zone, they are affected by human activities such as reclamation and pollution. 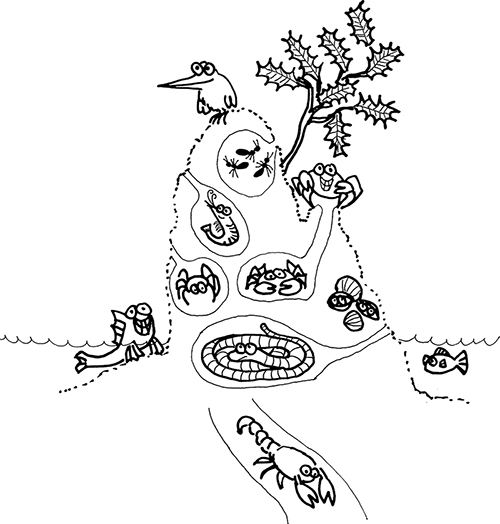 Where can we see mud lobsters and their mounds? 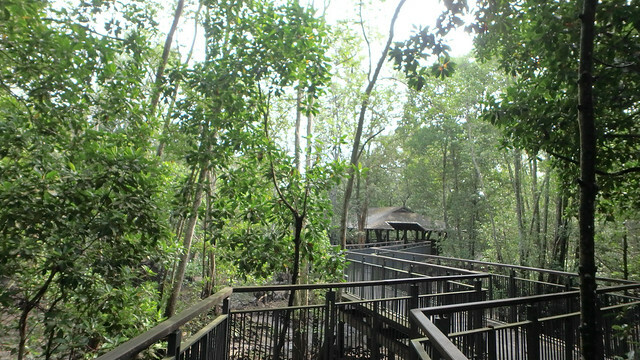 Their impressive mounds are easily observed from the Chek Jawa boardwalk. Go for the free Chek Jawa guided walk here on 4 Feb (Sun) by Ubin NParks to celebrate World Wetlands Day. More from NParks. Another great place to see these 'condos' are at Pasir Ris Mangrove boardwalk. Go for the free guided walk here on 4 Feb (Sun) by NParks to celebrate World Wetlands Day. More from NParks. 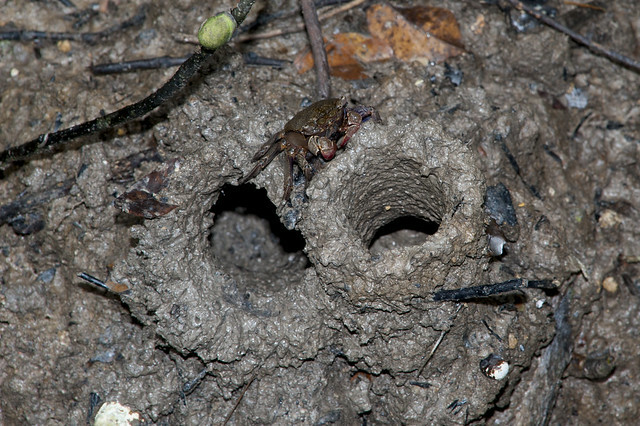 Or join the free guided walk here specially for kids and families on 11 Feb (Sun) evening by the Naked Hermit Crabs. 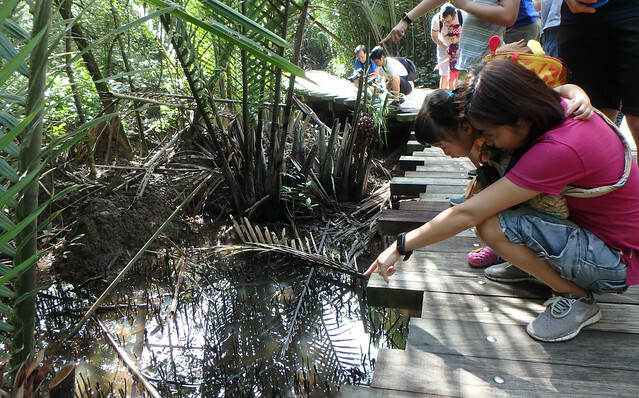 You can also admire mud lobster mounds from the Sungei Buloh Wetland Reserve Mangroves Boardwalk at the Wetland Centre. 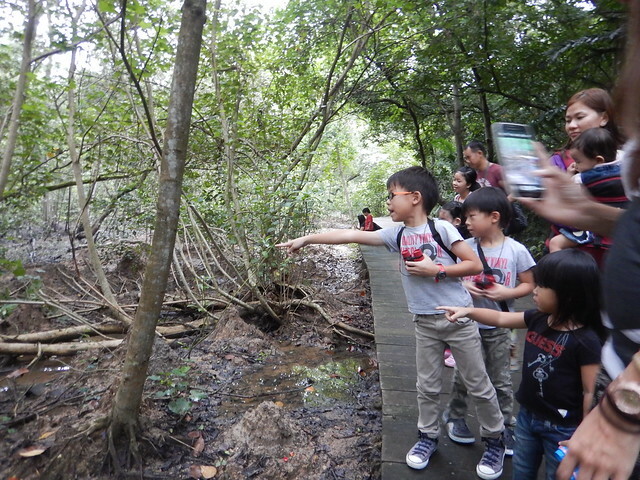 There are regular guided walks at Sungei Buloh to learn more about them such as the "What's in my mangroves" tour on 3 Feb (Sat) and 24 Feb (Sat). More from NParks. Share your encounters with this amazing mangrove animal! We would love to hear about it. Mud lobsters on the wild fact sheets by wildsingapore.